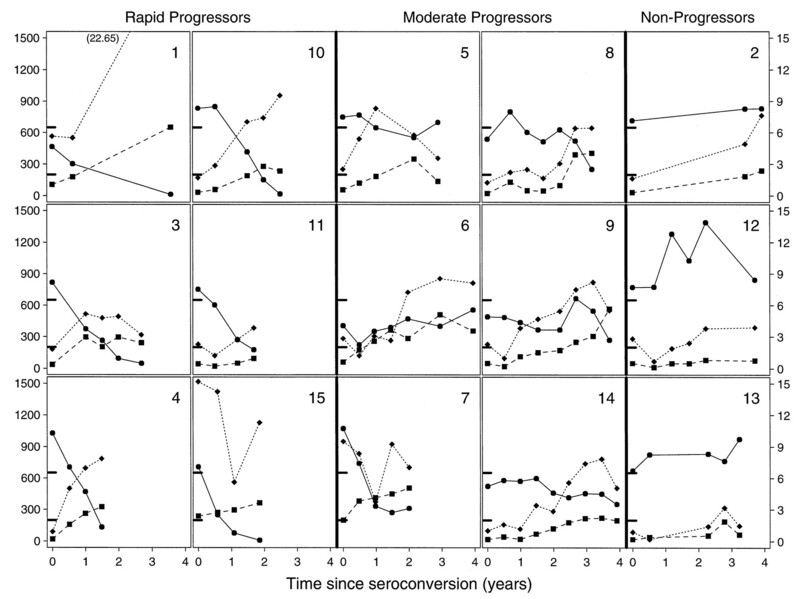 Which six subjects of the fifteen developed AIDS and what were their correlations? i.e. 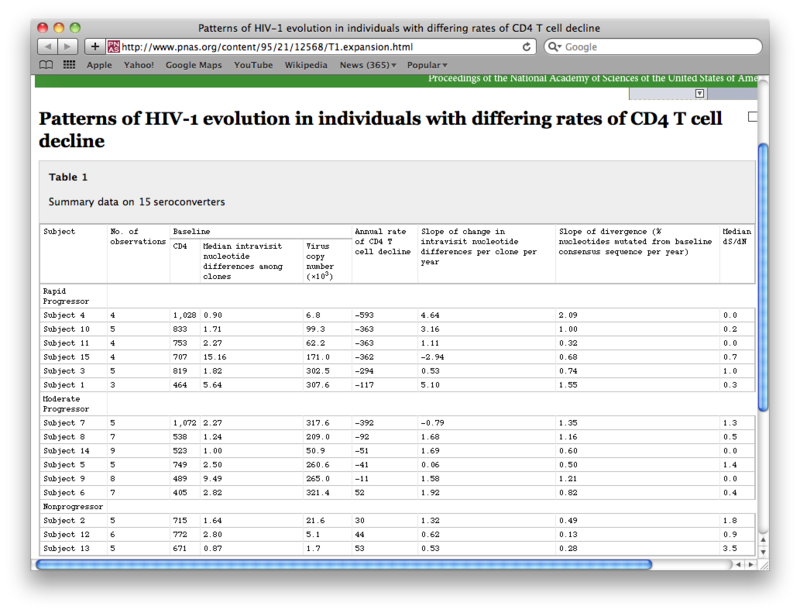 CD4 counts, ds/dn ratios, etc. It is simply the CD4 count that determines who has AIDS, so all the rapid progressors have AIDS and no one else does. We now would like to determine who among the remaining subjects is at risk by comparing their ds/dn values and CD4 counts to the AIDS subjects. We would also like to determine whether there is any similar clones across the AIDS subjects that indicates an onset of AIDS in the at risk subjects. We would like to look at the last visits from subjects across AIDS positive, at risk of AIDS, and not at risk AIDS. This way we have a broad range of data points to compare to subjects with AIDS. Using Data Table 1 from the Markham paper, we want to decide who is at risk to gain an AIDS diagnosis in the near future and who is not at risk of gaining an AIDS diagnosis in the near future. Looking at Figure 1, there are three groups of subjects. Those with AIDS (all rapid progressors), those trending towards AIDS (7,8,9 and 14) and those not trending towards or trending away from AIDS (2,5,6,12 and 13) just by looking at their CD4 counts at their last visits. This page was last edited on 21 September 2011, at 16:50.